Vero Beach and Indian River County have a friendly, unpretentious atmosphere. Centrally located 70 miles south of the Kennedy Space Center and 135 miles north of Miami, our 543 square miles contain beautiful beaches, citrus groves, and lovely oceanfront and riverfront communities. Over 140,000 people reside in Indian River County. We enjoy a climate moderated by the warm tropical waters of the Gulf Stream. Balmy winters combine with the summer’s fresh ocean breezes to keep the average temperature a delightful 73 degrees, allowing residents to swim, golf and play tennis all year long. And, our 26 miles of unspoiled beaches, serene waterscapes of the Sebastian and Indian Rivers, and miles of pristine woodlands and fields provide an endless array of recreational adventures. 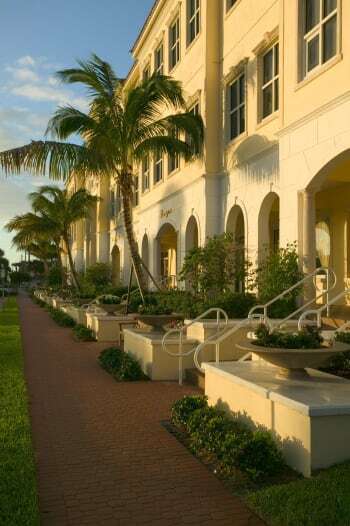 Our unique setting includes an emphasis on low scale buildings, public beach access, many community amenities, protection of our Indian River estuary and the environment. Our area is free from urban sprawl and congestion while offering the ideal setting for living life to its fullest. We boast lovely shops and fabulous chef-owned restaurants. We take pride in an amazing cultural arts community complete with local and equity state of the art theatre productions, art walks and tours, the promise of a cultural arts village, and an award winning state of the art museum with varied exhibitions and educational offerings. Our dynamic business-friendly community continues to attract national and international attention. A strong, diversified economy underscores Indian River County’s unique balance of workstyle and lifestyle. Relatively low labor costs and inexpensive building sites, plus the absence of state income tax, continue to attract small and medium sized industry. For helpful residential relocation information, we suggest ordering a relocation packet. You can order from our website or contact us directly at (772) 567-3491. If you are looking for personal assistance and relocation information for your business, contact our Economic Development Director at 772-567-3491. Our community is prepared to make your business relocation easy and rewarding. Welcome letter from the Chamber President.